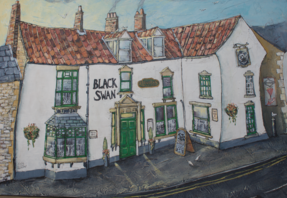 The Black Swan in Pickering, run by Breworks Ltd. is a centrally located, privately owned old coaching inn at the top of the Market Place, the original building having been built in 1740. During 2015 & 2016 much of the building has been subjected to a high standard of refurbishment, resulting in four double rooms currently available as high standard hotel accommodation, with another five to be refurbished in the near future. 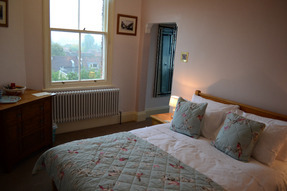 All of the 8 currently available rooms are en-suite, with either a walk-in shower or bath with shower over. There is free, high-speed Wi-fi available and all rooms have Smart TVs. 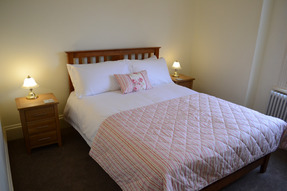 All rooms have tea and coffee making facilities and hairdryers. An iron and ironing board are available on request. Breakfast is served in the newly refurbished dining room, with a choice of cereal and toast, yoghurts, fruit and/or cooked breakfast with various options. We also offer the option of a take-away sandwich/pack-up if guests need to leave early in the morning. Food is served in the bar/restaurant between 12 noon and 14:30, then again between 18:00 and 21:00. All food is sourced as locally as possible and is freshly prepared on site. All beers and lagers are from within a 30 mile radius and many are brewed on site in our in-house brewery. Wines are sourced from a local merchant and are of a high quality. On site is also the new Whistler’s Bar which specialises in cocktails and gins, many of the latter being produced locally.